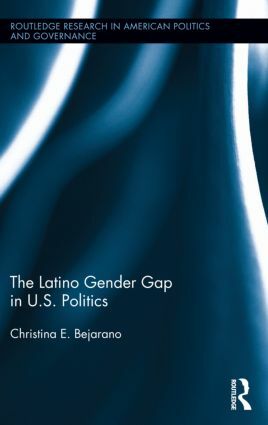 "Understanding the dynamics underlying the voting behavior and participation of Latinos has never been more crucial, and Christina E. Bejarano provides by far the most comprehensive examination to date of gender differences in the political behavior of the Latino electorate. This book is essential reading for political practitioners, academics, and indeed anyone who wants to understand how the preferences and attitudes of Latinas are likely to influence the future of American politics." "This very timely work by Christina E. Bejarano represents a major contribution to the body of knowledge in American politics. Both scholars and students who study Political Behavior, Women in Politics, Latino Politics, Race, Ethnicity and Politics, Public Opinion, and American Political Parties will greatly benefit from this systematic assessment of the differences and similarities in the attitudes and behaviors of Hispanic women and men. Bejarano carefully pulls together qualitative and quantitative data from multiple sources to reveal every facet of the growing Latina/o political gender gap. Politicians at every level of government also need to read this book if they want to anticipate the future of American politics." Introduction: Significance of Latino Gender Gaps. 1. Gender Differences in the Immigrant Experience. 2. Gaps in Political Participation. 3. Gaps in Public Opinion. 4. Gaps in Political Ideology and Partisan Identification. 5. Strategic Mobilization of Latinos. Conclusion: Political Implications of the Latino Gender Gap. Christina E. Bejarano is an Associate Professor of Political Science at the University of Kansas. She received her B.A. from University of North Texas, and her Ph.D. and M.A. from University of Iowa. Her research and teaching interests are in American politics, particularly areas of gender, race/ethnicity, and political behavior. She focuses on Latino political candidates and voters in U.S. electoral politics. She is the author of The Latina Advantage: Gender, Race, and Political Success (Texas, 2013).